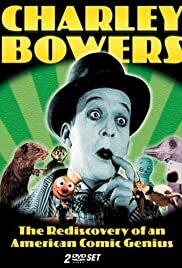 This short comedy features the combination of amusing slapstick and creative gadgetry that characterizes so many Charley Bowers films. It makes very good use of the setting and the possibilities, and it makes for some very good entertainment. Most of the story is set in a restaurant, where Charley is working in the hopes of being able to marry the owner's daughter. Meanwhile, the owner is having labor trouble, and much of the action has Charley trying to manage things at the restaurant while the owner frantically tries to hire some more help. The restaurant scenes feature a fine array of Charley's inventions and ideas, while the other sequences have some good slapstick themselves. The fantastical machinery that Charley installs gets plenty of screen time, and not a moment of it is wasted. It's well worth watching the whole sequence carefully, because there are some clever details that are rather subtle, in addition to the obvious gags. Bowers often used a fair amount of the running time in his features just to set up the tricks and contraptions that were the main attraction. In this case, most of the setup is pretty funny in itself, and the trademark camera effects are very enjoyable as well.